It is with regret that the Club has to announce the death of Life Member Eric Liddell, who passed away on the 9th May. 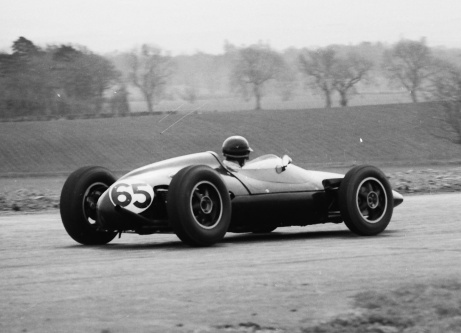 Eric raced nationally in the early ‘60s in a Jaguar E-type and Lotus Elan before being offered the chance to drive a new Ford GT40 which had been acquired by Scottish enthusiast (and BRDC Associate Member) Nick Cuthbert. Through 1966 and 1967 Eric achieved numerous good results with the GT40 and was occasionally invited to share the GT40s of others in long distance races. In 1968 he drove another GT40 in international events entered by Paul Hawkins before moving on to share Lola T70s in long-distance events for the next couple of years. Family flowers only please with donations being made to Fund 51 (the Borders General Hospital Intensive Therapy Unit) via Thomas Brown & Sons Funeral Directors, East Port, Melrose, TD6 9EE. Tel: 01896 822833. Condolences have been passed to his son Robin and his sister.